also join our strava group! 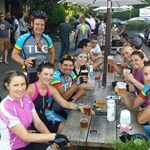 TEC Wed Night Ride to Eat! ride is 24mi. route is a loop around austin. which starts on the westside. it goes north from start though neighborhood along MoPac to anderson ln. then heads east over to springdale. then south on springdale back to downtown. ride avg is bout 14-17mph depending on weather and who shows up. also at 17mph avg that means there will be fast sections that can get to 22-28mph. if the strong riders are hot dogging. dont worry this is a no drop ride. we regroup on these sections. also if the pace is still to fast someone will fall back and ride with you. also this is a ride to eat ride. which means as we get closer to downtown, well will stop to eat somewhere, possibly before returning to start. if a place is chosen where you would need locks, we will advise in a comment with the destination (on the meetup site below). for those that dont wont to eat or have the time. there is a map provided. plus there is usually a veteran rider thats heading back to start. this is a great ride. so, come out and enjoy good company and good food!! 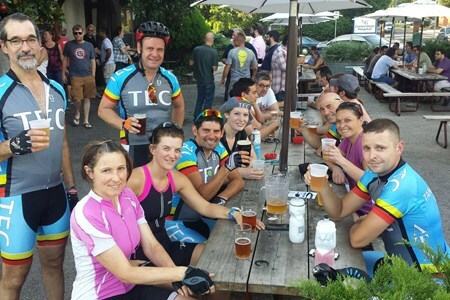 join the TEC Facebook page (below) for different rides every weekend. the ride starts at the north side of the pedestrian bridge (that crosses the lake) under mopac freeway. 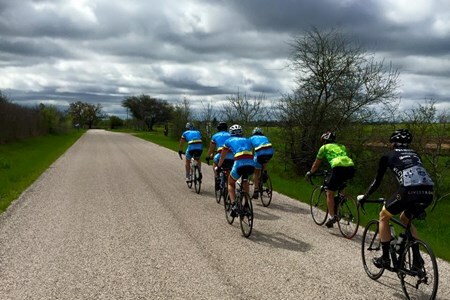 this is a re-group ride. we usually stop to eat at the end of route. remember ... moreto bring a HELMET, and everything you might need... including a LIGHT during the Fall route.